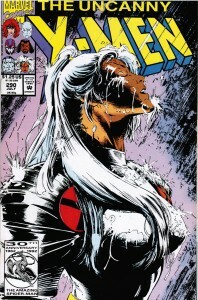 Last issue Forge asked Storm a question. 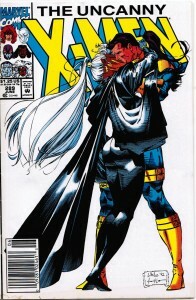 UNCANNY X-MEN #289 has a question. And other things. 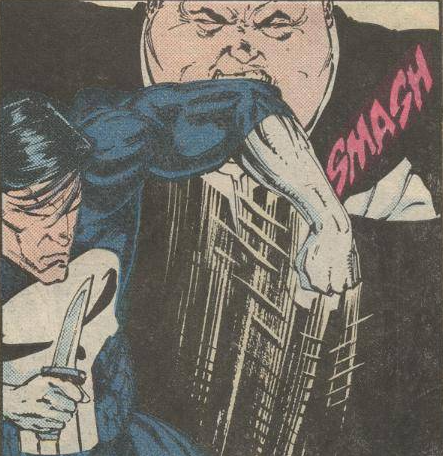 Wilson Fisk vs Frank Castle. One-on-one. Who's the better man? This week, some dark and unstable individuals left the comic book universes they existed in. Selections from the Incredible Hulk #6 & #7 and B.P.R.D. the Long Death #3. The fights were ugly and brutal, and in the end the monsters did as they have lived. Good night, and may you find the peace you did not have in life. ... the revelation about who split the Hulk and Banner into 2 separate beings is revealed. As if it wasn't obvious who would go to for something like this. ComicBookResources has the preview of MORE fallout from Fear Itself - with Loki taking centerstage. MAJOR SPOILERS on the link. With most of the main story going on in Fear Itself in the foreground, Loki and his forces mount a daring sneak attack from an unsuspected corner. ComicbookResources has the preview, as the end game is reached. Loki's 11 caper is set in motion. Ok, maybe not 11 (7 to be accurate) but you get the idea. Look, everyone! The Asgardian Destroyer in 2 comics this week! Me again ;) So by turtlefu's suggestion, I'm presenting a short list of Filipino artists in the American comics scene. Some you might know, some you might not, but the point I'm trying to make today is how big a part these guys play in the Comics scene. For a long time, Marvel's annuals would feature short stories starring "supporting" characters. This one features Ben Urich, tough reporter, going after a drug lord named Lambert who has a HUGE ponytail. 3 and a half pages of a ten page story. Four scans from X-Men: Second Coming #2, and four from Heroic Age: Uncanny X-Men #1: "Second Coming" ends. Greetings True Believers! This is a big issue. A certain someone returns to Earth and Magneto proves to all the youngsters that the Old School is still the best school. Gah, I hate it when this happens. One page from Batman/Superman #57, which one user has posted 4 pages from so far. It's 24 pages minus DC Nation, so we're good with the 1/3 limit. Anyhoo, Can you spot the thing on this page that is making me so twitchy? Any chance we could get a creator: whilce portacio tag?